A territory, the Samnium, with an extraordinary and millenary wine vocation, some of the best native vines of Campania and a family of winemakers with a passion for vineyards and wines of the territory. These are the basic ingredients of the quality wine production of the Rossovermiglio brand of the Verlingieri family. Rossovermiglio has 18 hectares of vineyards divided into various plots located to the left and right of the ancient Via Traiana, in the province of Benevento. 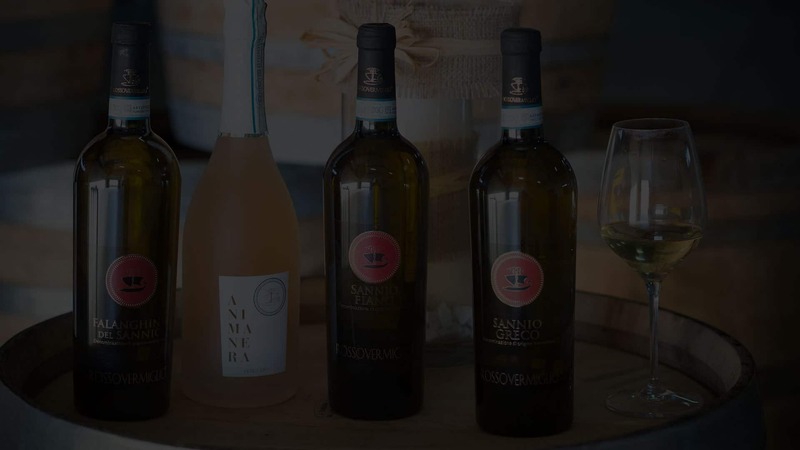 Native white grape varieties are cultivated, such as Falanghina, Fiano, and Greco, except for an area of Aglianico which is partly vinified in white. The plant density is 5000 plants per hectare for the guyot, and 1700 plants per hectare for the rays. The altitude is between 260 and 400 meters above sea level, with a truly excellent land exposure. The harvest seems to be done well in September, beginning of October, and is completely handmade. The company's production philosophy is to produce a line of wines that expresses the territory, and the ancient local tradition. Authentic Campania wines, faithful to their roots, but at the same time protagonist of a current, elegant and recognizable charm. Each wine is designed to meet the needs of the wine enthusiast, constantly looking for quality. Wines from Campania tell a story and a thousand-year tradition in the production of quality wine. Campania boasts an enological tradition of ancient origin, which dates back to the time before the Romans. Since ancient times Campania is known for its excellent quality wines, such as Caleno, Falerno, Greco, Faustiniano, just to name a few, considered the wines of Roman emperors, and praised by the greatest classical writers of the epoch as Cicero, Tibullo, Pliny the Elder, and Martial. Campania still today represents one of the regions with the highest wine-growing vocation of Italy. Autochthonous vines such as Aglianico, Falanghina, Fiano, Greco, Piedirosso, Asprinio, Forastera, Biancolella, and Coda di Volpe are the natural descendants of the ancient vines of Campania Felix. And with rare exceptions, even today, the best wines from Campania have always been produced with native grapes.